A big, soft stole knit in garter stitch, out of a wonderful organic yarn in great colors: That’s Obvious! 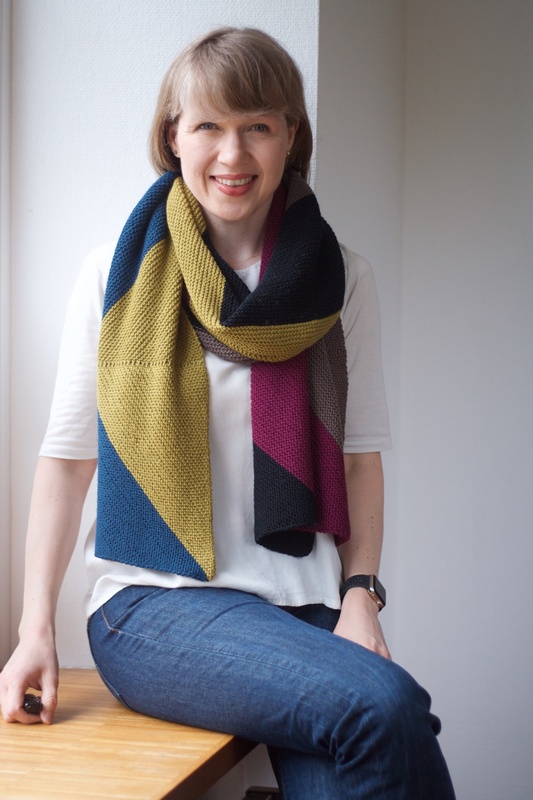 I had the idea for this shawl when I was casually staring at the schematic of the knitted book cover “One for the Books” that I designed for Strickplaner (my knitting planner) 2018: That should work as a stole, obviously… and it did! I used one of my favorite yarns, Rosy Green Wool Cheeky Merino Joy for it. It turned out enormous, and it’s super versatile. I can’t wait until the days will finally get a little colder, so I get to wear mine. It will be super useful in my cold-ish office. And look great under my winter coat, just adding a splash of color. And look awesome thrown over a blouse… obviously! The knitting is really simple, there are only a few increases and decreases to work. You will need a little stamina, though, as there are 1500 m of yarn to knit! 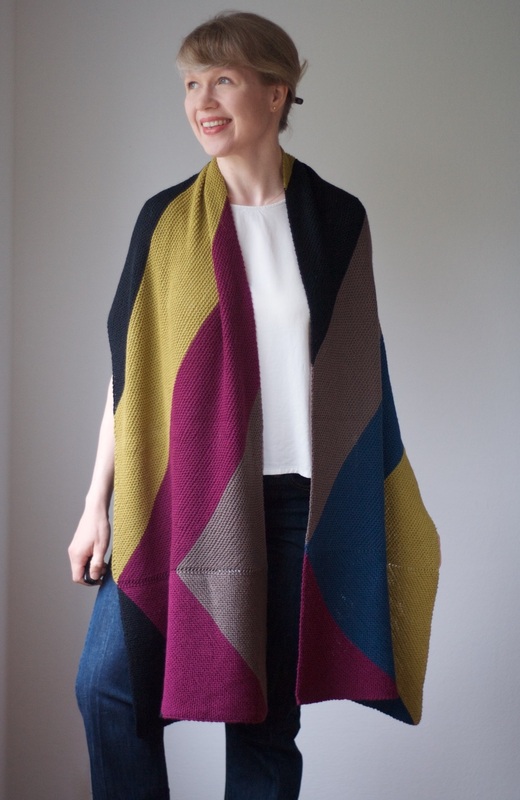 The pattern is available on Ravelry and from Strickmich! 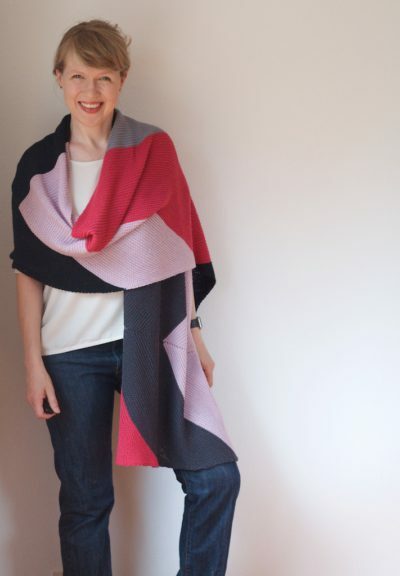 Shop, where we also carry a limited number of kits in two pretty color combinations. Of course, you can pick your own, too – we’ve got all the beautiful Rosy Green Wool Cheeky Merino Joy colors in stock. Enjoy!